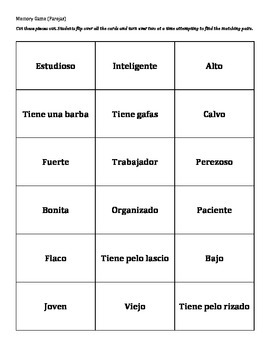 Students must pair up the matches from memory using a description of someone and what they would be called in Spanish. For example: Someone who doesn't like to tidy up = "desorganizado." Not making it purely matching but having to think through what it could be, imprinting the information more successfully.